Firefighting changes lives for the better: Both the lives you will help in your community through your service, as well as your own life. Don’t miss out on a positive life-changing experience because you didn’t reach out to us to learn about volunteering. Maybe you are concerned you aren’t strong enough – or are not brave enough – to become a firefighter. If you have these or other concerns, don’t put barriers in the way. 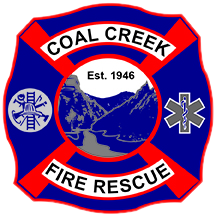 Come and talk to us and see if Coal Creek Fire Rescue is a fit for you. Emergency response is a team effort. We value safety over individual heroics. You’ll find we are young and old, female and male, from all different walks of life. Some of us are primarily interested in firefighting and others more interested in medical response. We use our diversity to our advantage, leveraging each others strength and complimenting any weaknesses. We are there for each other. The tie that bonds us is each individual’s desire to serve and their love for this community. We have a mentor program for new recruits where we assign an experienced volunteer firefighter to coach each new trainee. Mentors meet with their recruits, answering any questions as they proceed and sharing their experience to pave a path to success for the new member. Emergency response is a commitment and a worthy challenge, and we want recruits to thrive and feel a sense of accomplishment. If you are between 18 years old and 60 years old we’d like to hear from you about volunteering as a Firefighter. If you live near Station #3 or Station #4 even more so. Deadline is November 26th, 2018. Are you ready for a live changing experience? Are you ready to discover your hidden potential for serving this community?